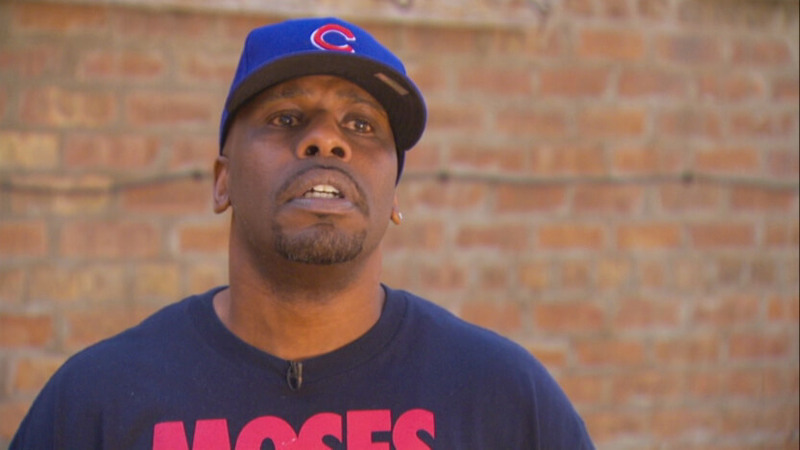 In Search of a New Path: Can Holistic Prisoner Reentry Work on the West Side of Chicago? Story by Matthew Johnson, based on prisoner reentry research by the Urban Institute's Justice Policy Center and exclusive interviews with program participants, administrators, case managers, and mentors. For more information about what worked and what didn't during the Safer Return demonstration, read the complete research reports. Timothy Smith, 45, now manages a neighborhood cleanup crew and aspires to work as a commercial truck driver. In the dark of night, on the west side of Chicago, a group of young men jumped onto a moving Union Pacific cargo train, pried a door open, and attempted to steal what was inside. But this was not their night. They were detected, police rushed to the scene, and the young men were arrested. Thus began a long cycle of incarceration, release, and reoffense for then 18-year-old Timothy Smith. 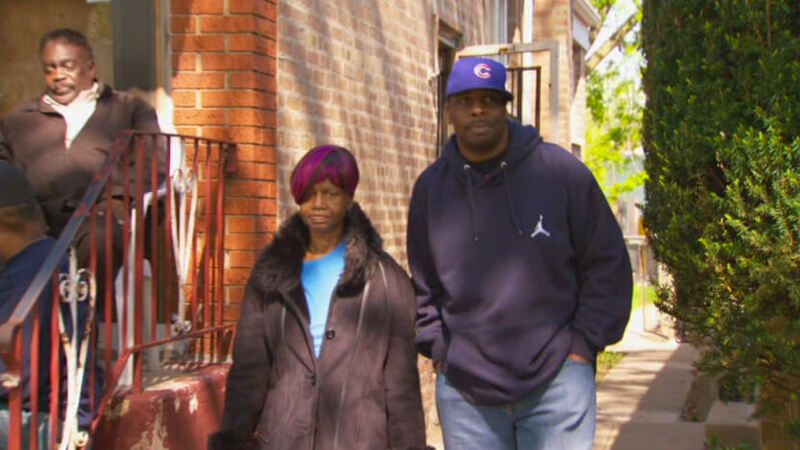 Not far from Smith’s childhood home sits Garfield Park, a neighborhood on the west side of Chicago plagued by concentrated poverty, high unemployment, substance abuse, and crime. Indeed, nearly a third of Garfield Park’s residents have been to prison at one point or another, and some have been more than once. The reason is simple: coming home after serving time in prison is hard. It’s hard because prisoners have criminal records. Many don’t have much money or haven’t finished high school, and they might not even have work history or job skills. Many have self-destructive addictions, some run with gangs, and others have severed ties with family and friends. And in a place like Garfield Park, they all live in a neighborhood void of opportunities that could help them build a brighter future. When so many in an already disadvantaged neighborhood have difficulties legally making money, paying rent, or getting enough food, a large number of them end up back behind bars. This phenomenon is known as recidivism. What is failing to happen is known as successful prisoner reentry, or the transition from prison or jail back into a community. The economic downturn was acutely felt in Garfield Park. Garfield Park is not alone in this struggle. Every year more than 650,000 inmates are released from state and federal prisons, and even more from local jails, according to the US Department of Justice. According to the Bureau of Justice Statistics, within three years of release about two-thirds of state prisoners get rearrested, and many of them are reincarcerated. The large size of the returning population, the high rate of reincarceration, and the steep costs of mass incarceration have made reentry a priority for federal and state policymakers, as well as criminal justice researchers and practitioners. Because more than 90 percent of people in state and federal prisons will return home—most to the same neighborhoods they left—everyone has a stake in effective reentry policies that improve public safety. 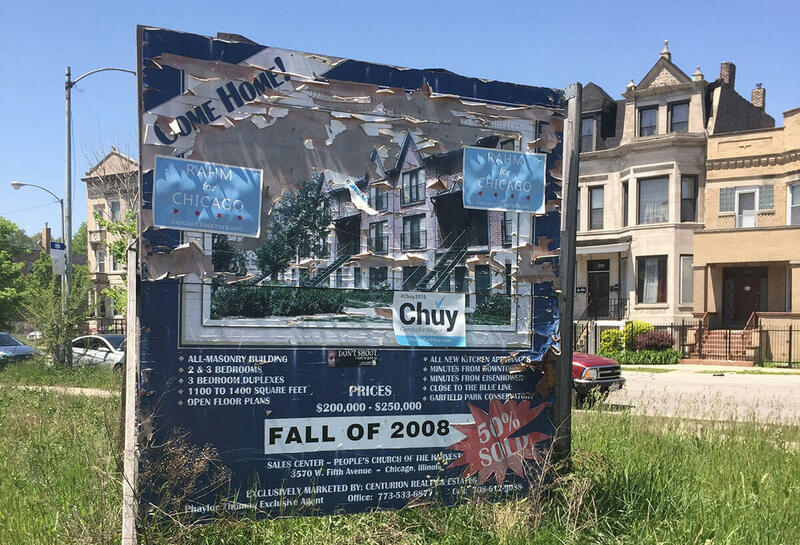 There are many vacant homes in Garfield Park. For Timothy Smith, failure to build a life outside prison was a dominant theme in his early life. Smith’s mother was a single parent; a nurse who worked long shifts to make ends meet. When Smith was only 14, she died suddenly of an aneurysm. The first couple times Smith ran into trouble with the law he was trying to steal merchandise off of trains, but by his third trip through the system he had moved to buying, selling, and using cocaine and heroin. Over the course of 21 years, Smith was arrested 10 times, leading to roughly 14 years in prison. He says that after each arrest, he wouldn’t reflect on what he did to put himself back behind bars, but would instead strategize about how to not get caught the next time. That was the case until December 20, 2009, when Smith was busted for retail theft. In Garfield Park, it turns out, some people did. The Safer Foundation collaborated with the Urban Institute and the John D. and Catherine T. MacArthur Foundation to design Safer Return. The Safer Foundation led overall program implementation. Jeremy Travis and his colleagues from the Urban Institute stood before a slew of social service providers, philanthropists, and criminal justice policy experts at a 2004 roundtable. At the time, Travis was an Institute fellow, studying prisoner reentry. On this visit to the John D. and Catherine T. MacArthur Foundation’s headquarters in Chicago, he had the opportunity to tell these potential difference-makers about a profound study that offered new, actionable information that could help them facilitate successful reentry for returning prisoners. In earlier work, researchers from Urban learned that Illinoisâ€™s prisoner population had increased 500 percent between 1970 and 2001 and that, as a result, the number released each year had also increased. 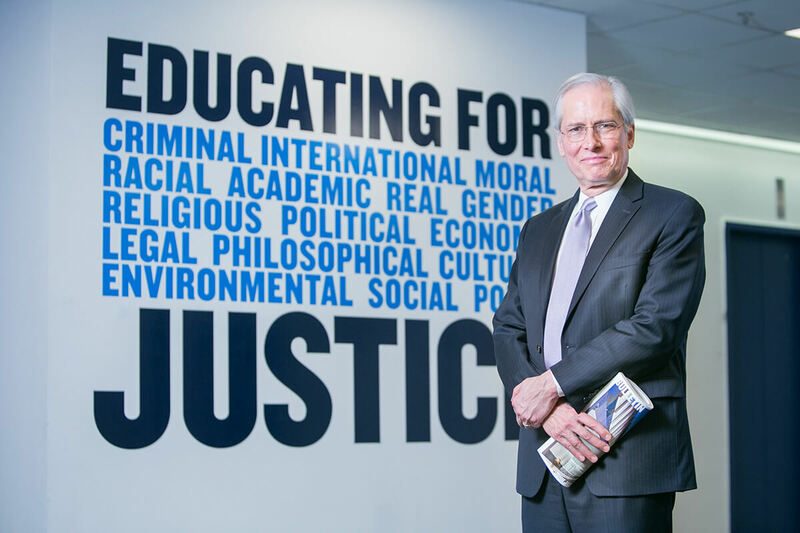 Jeremy Travis—now president at the John Jay College of Criminal Justice—was an Institute fellow at the Urban Institute when Safer Return was being conceptualized. Photo credit: John Jay College of Criminal Justice. Against this backdrop, Travis told the audience that about a third of those released by the Illinois Department of Corrections came home to just six economically and socially disadvantaged neighborhoods in Chicago, and that most released prisoners expressed a strong desire to change. He surmised that if solid community and family supports could be provided and coordinated in one of these neighborhoods, better results would be on the horizon. Experimenting with this approach would also offer the opportunity to find out what happens when a community is given the responsibility and resources to support former prisoners’ reintegration. And the lessons learned could provide valuable insights for other communities around the country looking to craft better reentry policies. “What we were presenting to this group of knowledgeable people was new research that encouraged them to think more broadly about the phenomenon of reentry,” said Travis, who is now president of the John Jay College of Criminal Justice in New York City. From this study and a series of related meetings, the seeds were sown for a program that would ultimately aim to transform a neighborhood plagued by a vicious circle of crime and poverty to one that is safer and populated by more working residents. With the concept gaining momentum, the MacArthur Foundation, Urban, and the Safer Foundation—a nonprofit that provides career development services to reentering Chicagoans—worked together to find what it would take to cut a community’s reincarceration rate in half and evaluate the program they designed to do it. Address the key needs of formerly incarcerated people and their families, such as job opportunities and stable housing. Introduce innovative system enhancements, such as neighborhoodâ€�based parole officers and case management services that include family members. Remedy local conditions that hinder success by increasing access to social activities and role models. The demonstration program that emerged—Safer Return—was designed to engage and coordinate a broad swath of community members to help returning prisoners shape better futures for themselves. The program’s participants, who would enroll voluntarily, would be supported by case managers, career developers, and mentors, as well as by local informal social networks and residents committed to making their neighborhood safer. As Urban and the Safer Foundation scouted for locations to implement this program, Garfield Park stood out. It was a high-crime, disadvantaged neighborhood in desperate need of better reentry solutions, but it also had a strong network of service providers. In other words, it was the perfect candidate to explore how to build a comprehensive community-based reentry initiative. This office in Garfield Park, located at 808 South Kedzie Avenue, was used by case managers, career developers, and program participants to meet and work together. By the time Timothy Smith was released from prison in June 2011, he had scorched nearly all bridges leading back to his community. In his search for a new path home, he came into contact with the Safer Return demonstration and became one of 727 participants to enroll between April 2008 and January 2013. The Illinois Department of Corrections routinely notified Safer Return program managers about prisoners set to return to Garfield Park soon, and program staff would go to prisons to conduct exit orientations where they would speak with them about the challenges and opportunities that lay ahead and let them know that there was a comprehensive new program ready to support them. It was at such a meeting that Smith voluntarily enrolled in Safer Return. Case managers subsequently assessed his needs and made arrangements for him to receive services upon release, so that he would have some stability when he began this new chapter in his life. Many reentering individuals, like Smith, have damaged relationships, but others have supportive family members, significant others, and friends who are willing to help. There’s documented evidence that people do turn the corner. But, you know, I think people need a hand to hold. It’s not just the services that we wrap around people, but it’s the time that we spend letting people know that they matter. Urban researchers surveyed participants and their family members to understand whether the program was working. Surveys showed that families were optimistic about their loved ones’ ability to turn things around and provided a range of tangible and intangible supports, in spite of their own financial and emotional struggles. Case manager Cynthia Henson still meets with reentering prisoners to help them sort though the issues and challenges they are facing. “Our surveys of participants and nonparticipants showed that Safer Return [participants] relied heavily on case managers for various services, such as information about jobs and housing, or transportation and emergency cash support, while nonparticipants relied on their family members and social networks for these types of things,” said Jocelyn Fontaine, a senior research associate at Urban and one of the project’s lead researchers. Reentering prisoners have little to no shot at success if they don’t have a place to sleep, can’t stay sober, have no supportive social networks, or have trouble managing the strong emotions that stem from the difficulties of reentry. Safer Return case managers met with participants weekly to assess their needs, and helped them enroll in substance abuse treatment, job training, and other demonstration-provided services. They also checked in with participants’ parole officers and family members to see how they were doing. They passed information to the demonstration’s career developers and mentors, so they could adjust their strategies for engaging with the participants accordingly. Cynthia Henson was one of 12 case managers who worked with Safer Return participants during the demonstration. In this video, Henson talks about how case managers brought participants into the fold and helped them access services. However, Safer Return participants and their families reported mixed experiences with their case managers and the services they received. A lot of family members reported limited contact with case managers. But those who did connect said they felt more prepared to handle the issues that came home with their loved ones. Family members who spoke to the research team suggested that the program could be improved with additional case manager–led supports, such as mediated conversations that allow family members and former prisoners to talk constructively about the future. 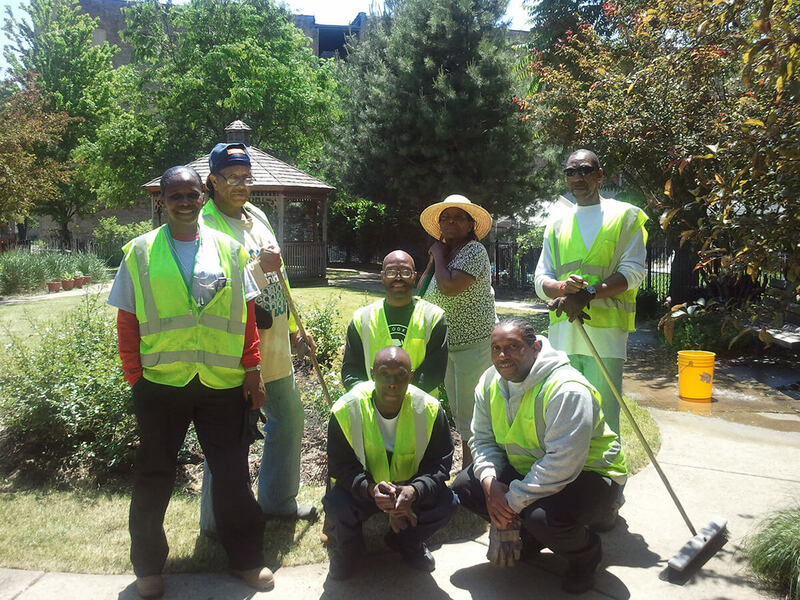 Safer Return included a transitional job component, Civic Community Works, to give participants the opportunity to build a work history, earn a stipend, clean up neighborhood blight, and give back to Garfield Park. After Timothy Smith was released from prison, he moved into the Jack Clark Family House drug and alcohol rehabilitation center in Garfield Park and immediately began working with his Safer Return case manager. When the case manager felt that Smith was stable and ready for more, his career development began. A common tension for reentering individuals is that they’re not ready to shoulder job responsibilities, but are unable to sustain themselves without some source of income. So they must work. The Civic Community Works work crew poses for a team photo after finishing a project that turned a neighborhood eyesore into a community garden. After going through a weeklong Safer Return job readiness training, Smith was given a chance to learn on the job through the demonstration’s transitional job component, Civic Community Works. “One of the key thoughts was to get them recent employment on their résumés to offset the lack of work experience, and maybe education, so that employers would be more willing to interview and hire,” said Rochelle Perry, the demonstration’s program director. However, she added, the transitional job program presented new challenges. Though the Civic Community Works component was primarily designed to serve those who lacked work history, it was wildly popular with many Safer Return participants and, as a result, it wasn’t possible to focus on those with the greatest need. The transitional job component was also designed to be temporary, but for various reasons many participants working on its crews were hesitant to leave. To help participants find permanent jobs, Safer Return used sector managers to partner with employers willing to hire reentering residents. Sector managers vetted participants, matched them with hiring companies, and followed up with employers to ensure that they were satisfied with that their new workers. Rochelle Perry served as the program director responsible for overseeing Safer Return's program design and implementation and reporting to partner organizations, Urban Institute researchers, and the MacArthur Foundation. Sector managers interviewed by the research team stressed that it was critical to build trust with companies and demonstrate commitment to troubleshooting problems that arose after a hire was made. Put a different way, strong relationships with employers were key to getting them to take a chance on Safer Return participants. Sector managers also said that participants could be difficult to place in jobs because they often lacked skills, training, and education. And many who did have job skills didn’t know how to market them. Sector managers also reported difficulties finding employers in Garfield Park, and many participants had trouble commuting to other parts of Chicago. Still, some participants were able to get jobs, including positions as cooks, cashiers, and manufacturers. And the program had some success demonstrating that productive citizens had come home. “These were people who left the community because they had done something that was offensive to the community, but now [through Civic Community Works] they have done something to help,” Perry said. Prisoner rentry circles are a continuing legacy of the Safer Return demonstration. Some participants who attended circles during the demonstration now mentor new reentering people. Benneth Lee grew up on the West Side at a different time, but he’d faced many of the same problems that returning prisoners confront today. So his organization—the National Alliance for the Empowerment of the Formerly Incarcerated (NAEFI)—was a natural fit for Safer Return. The Safer Return program aimed to transform more than just a community; it intended to reform peoples’ lives. To do that, it needed mentors who could help build participants’ self-esteem, listen to their problems, and be role models. At reentry circles, announcements shared with the group include information about job openings, services available to formerly incarcerated and low-income people, and requirements for getting government documents such as driver's licenses and Social Security cards. Lee knew the power of mentoring firsthand, because it had helped change his life. Back in the 1960s, Lee was a teenager running classic scams like three-card monte and throwing crooked dice. But before long, he became addicted to heroin, joined a gang, and was convicted of armed robbery. Four months after he was released, he was put right back in prison. He wasn’t prepared to reenter his community because he didn’t know how to do anything except hustle. But after his second release, he got help from a case manager who helped him find housing, complete substance abuse treatment, and finish his GED. Lee went on to earn a bachelor’s degree, become a certified drug abuse counselor, and distinguished himself by developing a model for working with gang-affiliated substance abusers. Daryl Pierce shares his frustrations and hopes with members of this reentry circle, which meets every Saturday. Through his own development, he learned that people needed ongoing support—not only to kick drugs and alcohol, but also to take and keep jobs they may not feel qualified to have. 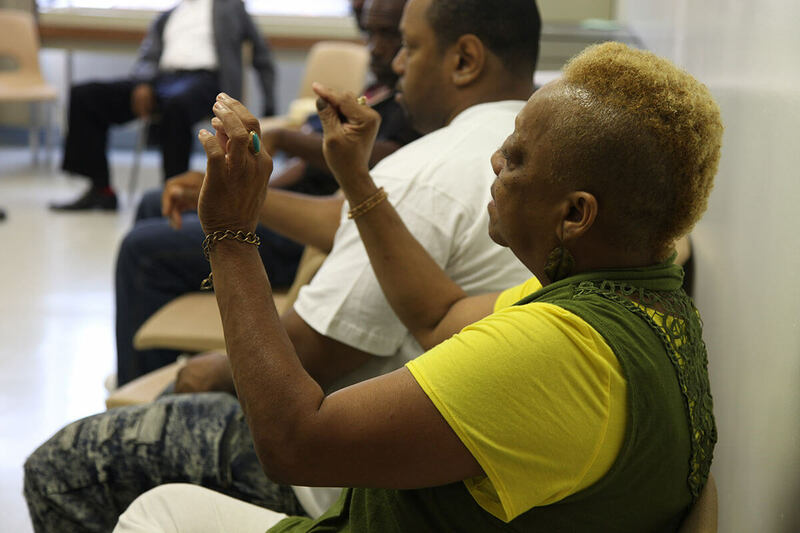 For Safer Return, NAEFI coordinated group therapy sessions—known as reentry circles—and one-on-one mentoring. At the weekly circles, 20 to 30 mentees and 6 to 8 mentors, sometimes joined by Safer Return case managers, met and shared the issues and opportunities that lay before them. Most of the mentors Lee recruited were men with criminal histories of their own; they knew how hard it was to move past prison. Once mentees became comfortable in the circle, they were encouraged to talk to individual mentors, pick one, and get that person’s phone number so they could communicate between meetings. The degree to which mentors and mentees successfully connected varied. According to the evaluation, some interacted daily, but others had limited contact outside the circle. Benneth Lee grew up on the West Side, served a lot of time as a young man, and is a recovering substance abuser, so his organization was a natural fit for Safer Return. But when solid relationships were formed, mentors tried to go beyond the soft-skills trainings, résumé workshops, and mock interviews provided by the program and attack the psychological barriers that could inhibit participants’ progress. Preparing enrollees to talk about their backgrounds and educate potential employers is essential, Lee said, because doing so helps participants stop seeing themselves simply as convicted felons and begin to find a new purpose, like he did when he found a passion for drug counseling. Thanks to strong relationships built with the parole department during the Safer Return demonstration, the National Alliance for the Empowerment of the Formerly Incarcerated is able to host people under house arrest at circles. Timothy Smith is now 45 years old, living in his own apartment, and, nine months out of the year, supervising a community cleanup crew. He hopes to one day drive big rigs for a living and he’s well on his way. In 2014, Smith obtained a commercial driver’s license, finishing third in his class. In his personal life, Smith has rebuilt the bridges he burned with his family so many years ago. He’s reestablished close relationships with three of his cousins and regularly takes his ailing aunt to doctor’s appointments and tends to her at home. Timothy Smith regularly accompanies his aunt, Ora Pitts, to the hospital where she receives chemotherapy treatments. Smith’s story is indicative of what happened when Safer Return was firing on all cylinders. For others, the program didn’t work out as well. According to Urban’s evaluation of the program, the Safer Return experiment succeeded in some ways; in other ways, it needed more work. First and foremost, Safer Return participants were significantly less likely to be reincarcerated than nonparticipants living in Garfield Park. A big part of that achievement is due to the program’s successful partnership with parole officers, which resulted in significant reductions in parole violations. Another positive outcome was that Safer Return participants got more jobs and earned more money than nonparticipants—a strong testament to the work that case managers, career developers, and mentors put into stabilizing participants’ lives, preparing them for the job market, and providing transitional work and permanent job opportunities. Participants also received more services, both before and after prison release. Safer Return leaves us with many lessons about how to leverage the strengths of a range of partners working toward one goal, and the challenges with that type of approach. I hope others interested in this type of work take those lessons and build on them. These successes provide strong evidence that future reentry programming efforts should build on what Safer Return accomplished in Garfield Park. However, the demonstration also left room for improvement, and future reentry programs should consider these issues when they take up the baton. The Urban study found that families and community residents were overwhelmingly supportive and welcoming of former prisoners returning to Garfield Park, even when they had little to offer. But Safer Return didn’t sufficiently engage families, community members, or existing social services providers, such as mental health and substance abuse treatment agencies. To fully tap the potential of families and the larger community, future efforts should make better arrangements to include these groups. Unfortunately, despite some of the positive reentry results, Safer Return was more expensive than the savings it generated. But by reworking and strengthening program implementation to better address these weaknesses, future programs have the potential to realize significant savings. The Safer Return demonstration was codesigned by researchers in the Justice Policy Center at the Urban Institute and staff from the Safer Foundation, in consultation with other reentry experts. Safer Return was implemented by the Safer Foundation and evaluated by the Urban Institute. The planning, implementation, and research were supported with funding from the John D. and Catherine T. MacArthur Foundation.